Located close to Little Chalfont station and shops is this extremely well presented three bedroom semi  detached family home refurbished within the last 3 years by the current owners with potential to extend into the loft subject to planning permission. Steps leading to porch and front door to entrance hall with staircase to first floor and doors to kitchen/dining room and sitting room. Sitting room with bay window and feature fire and double doors to dining room. Kitchen/dining room with door to rear garden and door to conservatory. Upstairs there are two double bedrooms and 1 single bedroom currently being used as an office and a family bathroom. 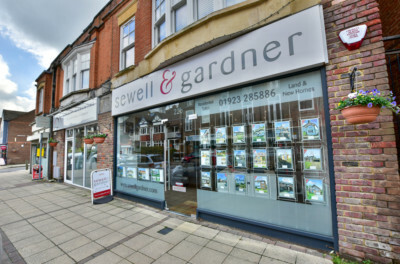 In accordance to the Estate Agents Act 1979 we must inform perspective purchasers that the vendor of this property is an employee at Sewell & Gardner.